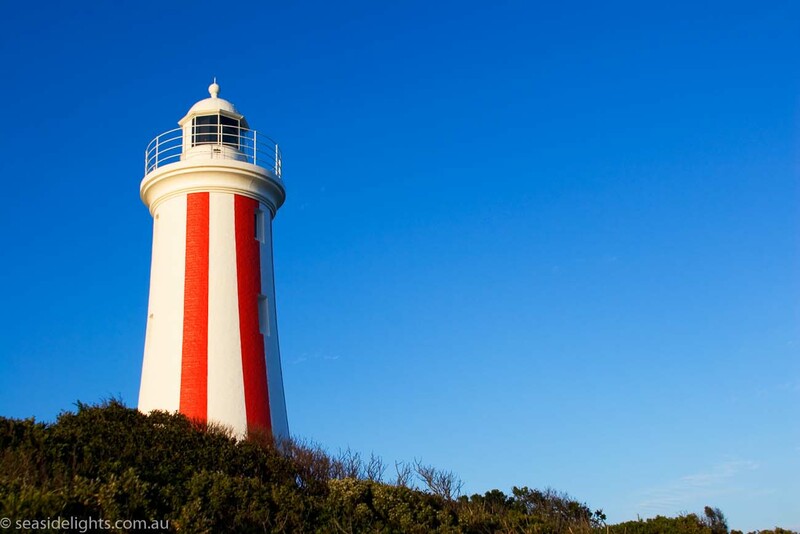 Mersey Bluff Lighthouse | Lighthouses of Australia Inc. 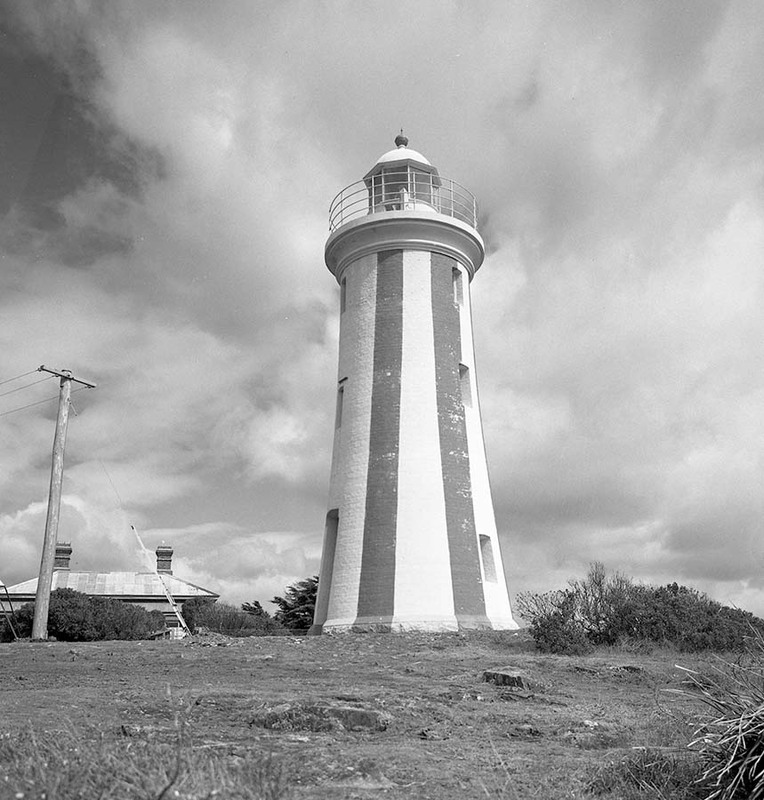 The Mersey Bluff Lighthouse standing at the mouth of the Mersey River near Devonport is unusual in Australia with its distinctive vertical red striped day mark. 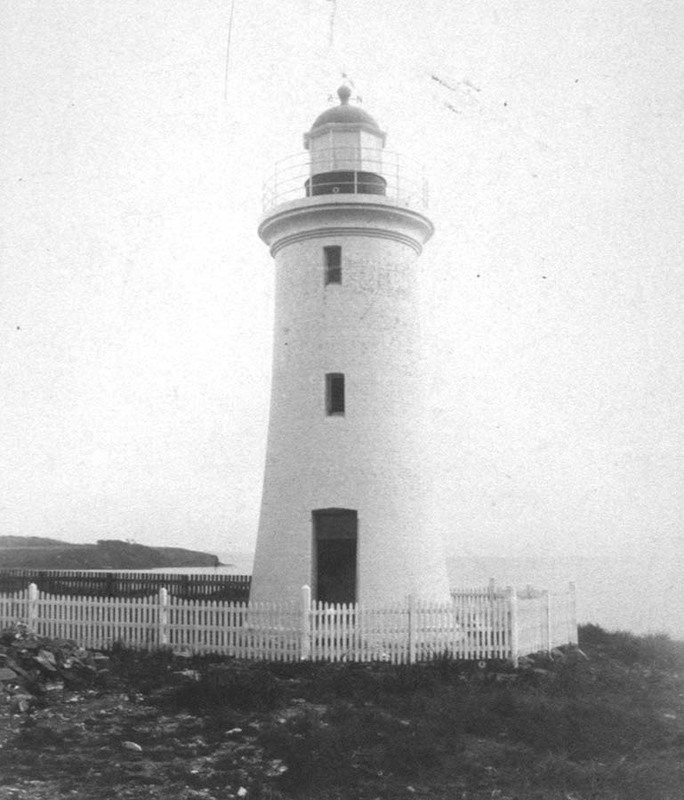 The Mersey Bluff Lighthouse was established in 1889 and is built of bricks on a stone base. It replaced a succession of beacons and obelisks that had formerly stood on the site. It also replaced the earlier Don River light. In 1910 the original kerosene lamp was converted to acetylene gas which was supplied by a Colt seven-day acetylene generator. The light was converted to DC electric operation in 1920 and demanned at the same time.It was connected to mains power in 1978. 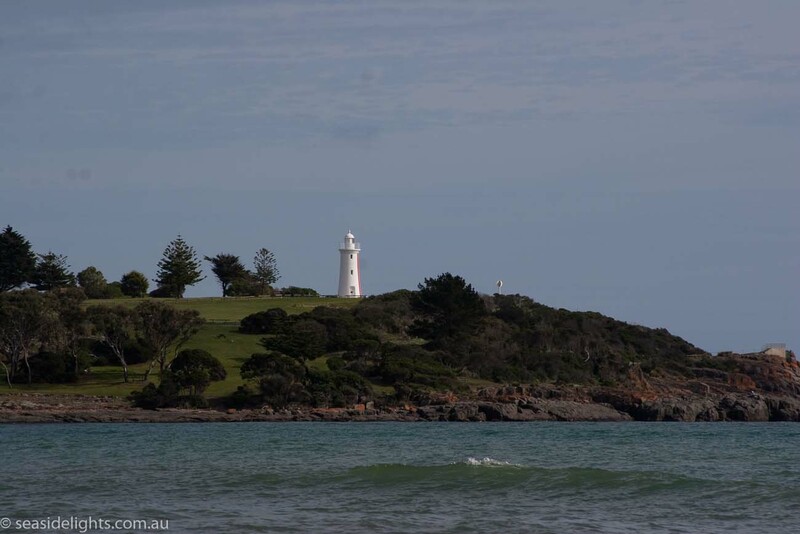 The lighthouse stands on top of the bluff to western side of the mouth of the Mersey River in Tasmania north of the Port of Devonport. The establishment of the lighthouse ended a history of wrecks in this area. 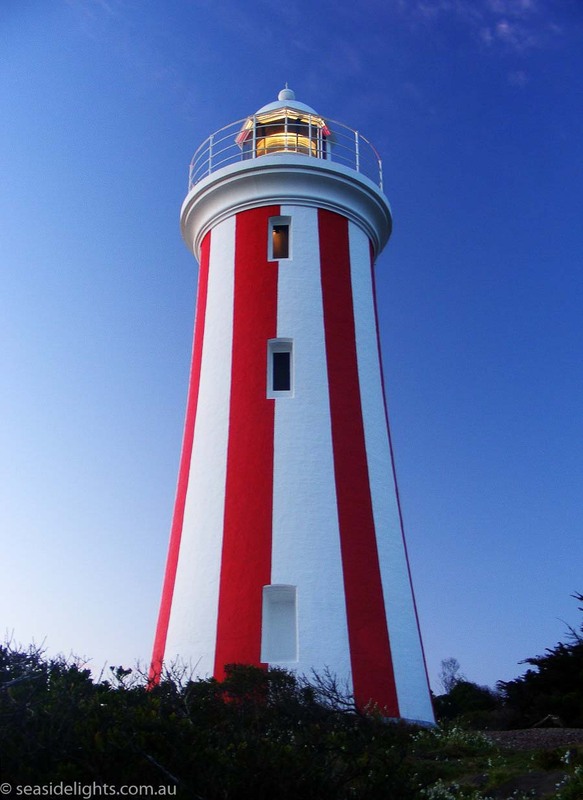 It is unusual for an Australian lighthouse to have vertical stripes in it’s day mark. Another unusual feature of this lightstation is that it was connected to town water in 1901. Current Optic 700mm f.r. 174° dioptric. 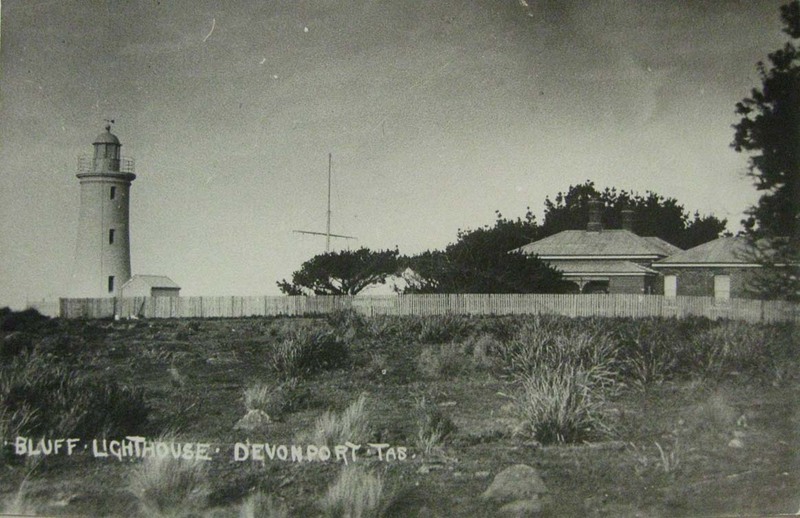 The lighthouse is easily accessible and is in a park 3.5 kilometres west of Devonport. The tower is not open to the public.